Canned food may be contaminated by BPA, so I updated the hummus recipe in “Cook Your Way Through The S.A.T.” using raw chickpeas. 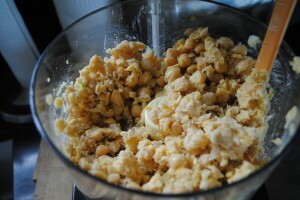 It takes planning to make the hummus from scratch because the chickpeas have to soak for many hours. 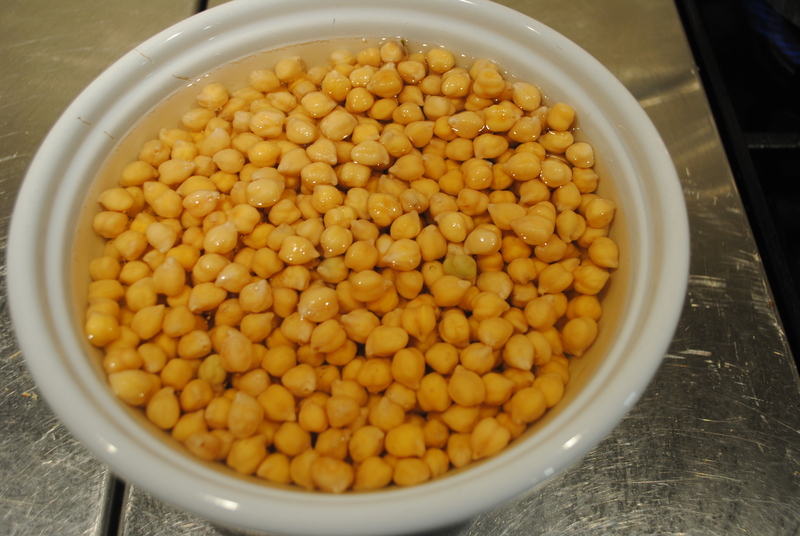 Soak the chickpeas overnight for 15 hours. Drain the water and soak them again, covered in fresh water, for 3 hours. 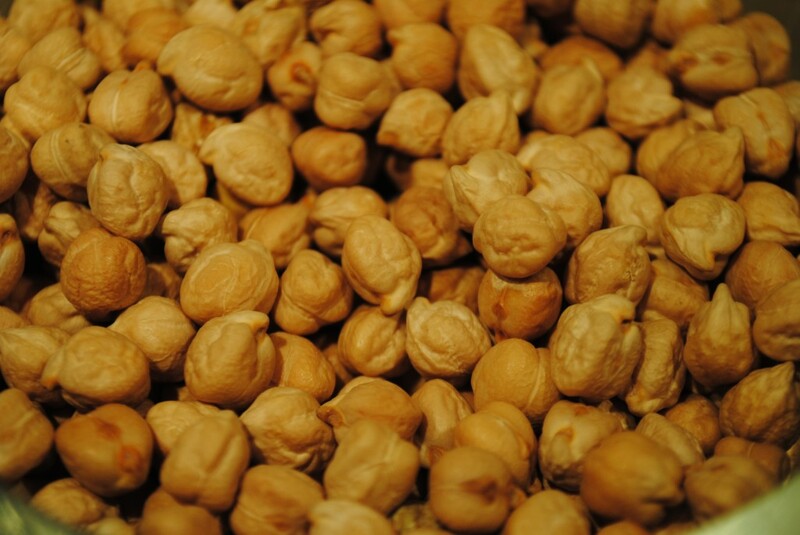 Drain the chickpeas and rinse with fresh water. Place the chickpeas in a large pot and cover with water. Bring the water to a boil, reduce heat and simmer until tender, about 1½ hours. 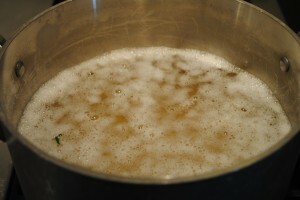 Remove the foam and peels that form and float on the boiling water. Drain, saving 1 cup of the cooking water. Combine all of the ingredients in a food processor and blend into a thick paste. Add cooking water, 1 tbsp at a time, and pulse until the desired texture, smooth and creamy. Transfer the hummus to a bowl and chill. Dust with cumin, drizzle with EVOO, and garnish with parsley just before serving. 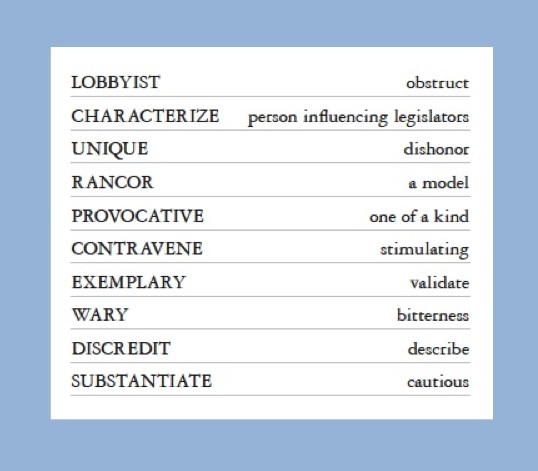 Try to figure out the vocab in context before you take the match test. The correct answers are listed alphabetically in the vocabulary word list on this website. 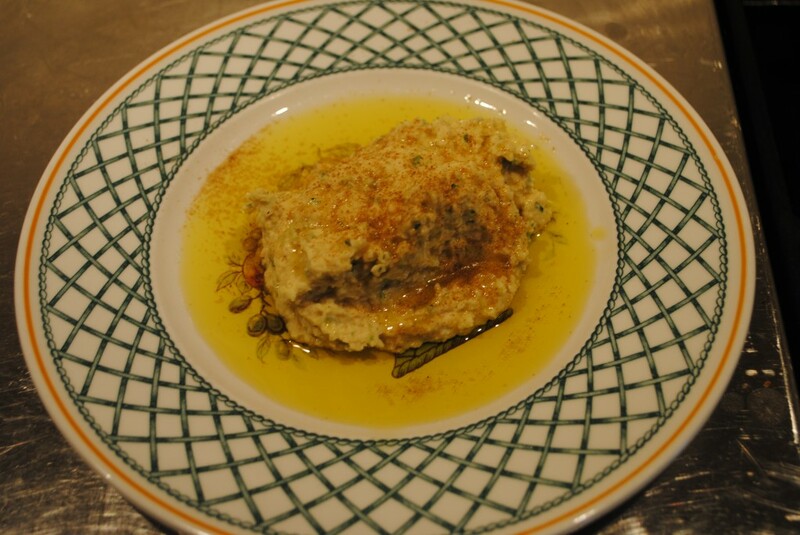 Hummus is high in protein so it’s a great dish for vegetarians. It’s delicious and the recipe can be varied to include your favorite herbs and spices. This entry was posted in First Course (Appetizers), Fun Fact Blurb, Healthy Snacks, Preview My Book, Recipes, Vocabulary, Vocabulary Match Test. Bookmark the permalink.